Morgan Cummis, Karla Dougan, Asia Jones and Trevor Stevenson visit the Columbia Museum of Art. Carrie Kuecks, Jurnee Louder and Chyna Wallace discover the local businesses in the historic Five Points neighborhood. Patrick Baird, Lucia Bermudez, Jesse Case and Kiki Griffin visit the Harriet Hancock LGBT Community Center and cover LGBT issues. Julie Alpaugh, Morgan Benson, Aneesa Conine-Nakano and Mary-Margaret Futch cover Transitions Homeless Recovery Center and homelessness in Columbia, South Carolina. Kennae Hunter, James Marlow, Sam Neumann, Olivia Ripps and Karis Wymbs go behind the scenes and on the field with the Columbia Fireflies. 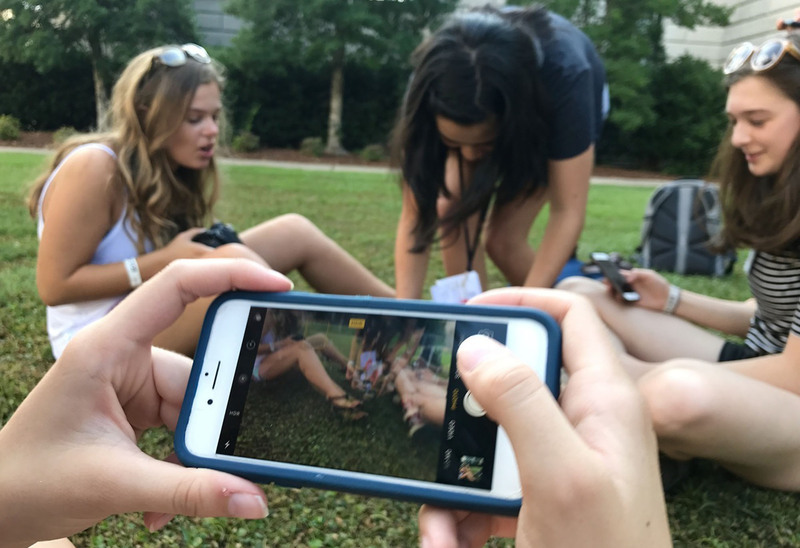 The Baldwin Pre-Collegiate Fellowship at the University of South Carolina School of Journalism and Mass Communications brings together a dozen outstanding high school journalists from around the Southeast to study investigative and business reporting and editing. The students, all leaders in their high schools, work with experts in areas of web searching, new and digital media, and project planning and execution. Coordinated by Professor Ernest Wiggins, Baldwin Pre-Collegiate Fellows create projects about the world of student work from two different perspectives: the employers and the employees. The Baldwin Business Journal is the product of the 2016 class of Baldwin Pre-Collegiate Fellows.